Ennayiram is a village in Vikravandi Taluk in Villuppuram District of Tamil Nadu and it figures in the Chola records of the 11th century AD. A strong center of Vaishnavism, the place was also known as Rajaraja Chaturvedimangalam. It was a flourishing center of Vedic scholars and had an important Vedic institution of the era. The place is around 18 km from Villuppuram. The name ‘Ennayiram"’has an interesting etymology. In Tamil, it means ‘eight thousand’. According to local belief, 8,000 Jainas embraced Brahmanism here. The Tamil poet, Kalamegam, famous for his puns, belonged to Ennayiram. A record of Rajendra Chola I, engraved in the Vishnu Temple here, gives graphic details of the Vedic institution maintained by the village (sabha). The record mentions the strength of the institution, the different courses offered, the remuneration for the teachers, the different grades of students and the expenditure incurred for maintaining them. There were fourteen teachers to teach different subjects – three each for Rig Veda and Yajur Veda, one each for Chandogya, Talavakara Samas Vajasaneya, Baudhyaniya, Grihya, Kalpa, Kathaka, Vyakarana, Prabhakara, Vedanta and Rupavatara. There were 340 students overall, out of whom 270 were junior students (Brahmacharin) and 70 were senior students (chatras). Among the juniors, 40 studied grammar according to Rupavatara, and the rest were learning Vedas. The seventy senior students studied advanced subjects – 25 studied Vyakarana, 35 studied Prabhakara Mimasa and ten studied Vedanta. The record gives interesting details regarding the pay and allowances given to the teachers and students. 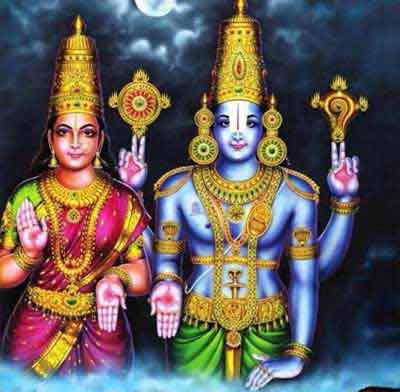 Besides these, four persons were appointed to recite sacred Tamil hymns, Tiruvaymoli, in the temple and to attend to the feeding of Sri Vaishnavas in the matha attached to the temple, as well as for conducting festivals and worship there. Similar Vedic institutions flourished during the chola period at other place such as Tribhuvanai near Puducherry and Tirumukkudal. Notes Taken from - Encyclopedia of Hinduism Volume IV – India Heritage Research Foundation – Page no 38.